Riots in French cities have disrupted French President Francois Hollande's vacation. French President Francois Holland just completed his hundred days of grace and has already had to interrupt his summer vacation in order to address the violence in the city of Amiens, the site of a short-lived Peace of Amiens treaty between Napoleon and Great Britain in 1802. Violence injured 16 police officers and left one officer in serious condition. 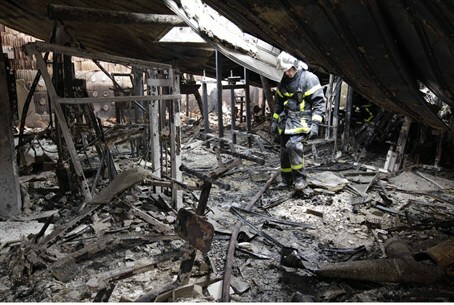 The violence resulted in burnt cars and destroyed buildings, including a nursery and a sports center. Hollande promise to deploy "all the means of the state" to quell the violence, assuring his listeners that "with me the law will be applied everywhere and firmly." The new Socialist government reacted strongly to the first spate of disorders, knowing that security was an issue on which the party enjoyed a low reputation, based on the performance of the Socialist government of 1997-2002 under Prime Minister Lionel Jospin. A poll conducted by the French Institute of Public Opinion for the conservative French newspaper Figaro showed that only 35% of the population had confidence in Hollande's ability to efficiently fight against insecurity. It was therefore important for Hollande to show that he was no wimp. He, however, ended up sounding like the man he replaced –Nicolas Sarkozy. It had failed in its economic strategy and had not strengthened the competitiveness of French businesses. On the contrary by its taxation policy, including raising corporate taxation, it had made them less competitive. Cope declared himself ill at ease when it came to security, as the government had failed to create room in prisons to incarcerate recidivists. One recidivist of Arab descent is charged with the murder of two policewomen. Hollande's major problem is that he has exhausted his arsenal of symbolic policies,such as cutting the salary of the president and government ministers, raising corporate taxation and taxes for the extremely wealthy. He has not put a dent into higher unemployment and now he has to sell major budget cuts to the population in order to meet European Union targets and satisfy the financial community. And the economy, while not contracting, showed zero growth.